If you’re familiar with Honda, it should come as no surprise the 2018 Honda Civic safety ratings are impressive, especially when compared to the Toyota Corolla and Nissan Sentra. Like many of its siblings, the Honda Civic relies on an Advanced Compatibility Engineering (ACE) Body Structure, which diverts crash energy away from the passenger cell. You’ll find the 2018 Honda Civic safety ratings below, as well as a few of its best safety features. Take the Honda Civic for a Spin Around Hilo or Kailua-Kona! The 2018 Honda Civic safety ratings are just one of many reasons to add it to your shortlist; it also sports a cozy interior, a peppy powertrain, and excellent value. 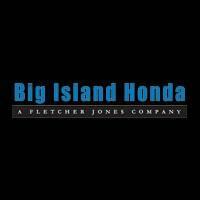 To experience it for yourself, schedule a test drive at Big Island Honda, located in Hilo and Kailua-Kona. Be sure to also check out our newest finance specials and lease deals for the Honda Civic!